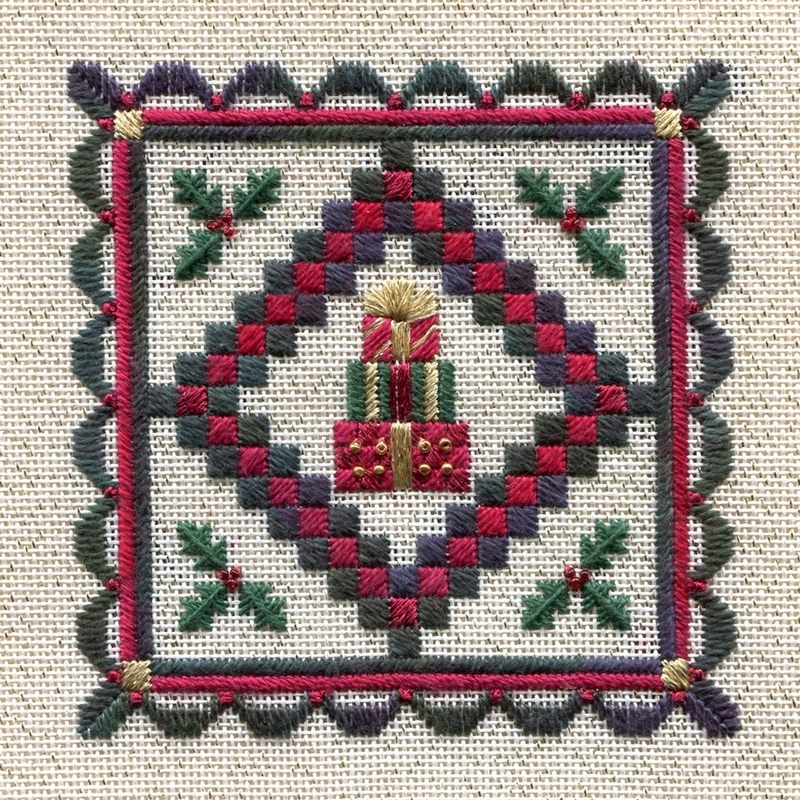 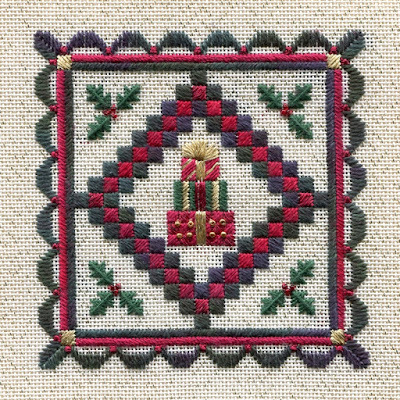 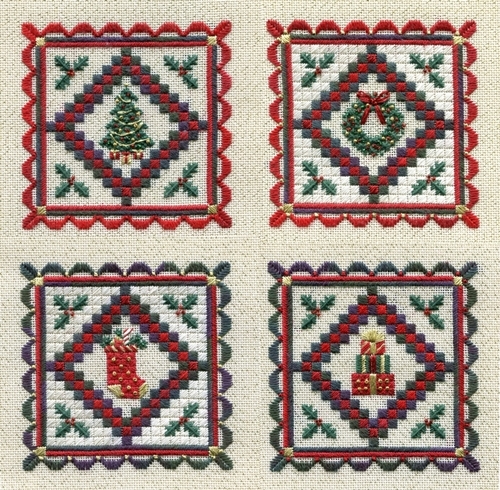 Ho, Ho, Ho: New Miniature Holiday Quilts! 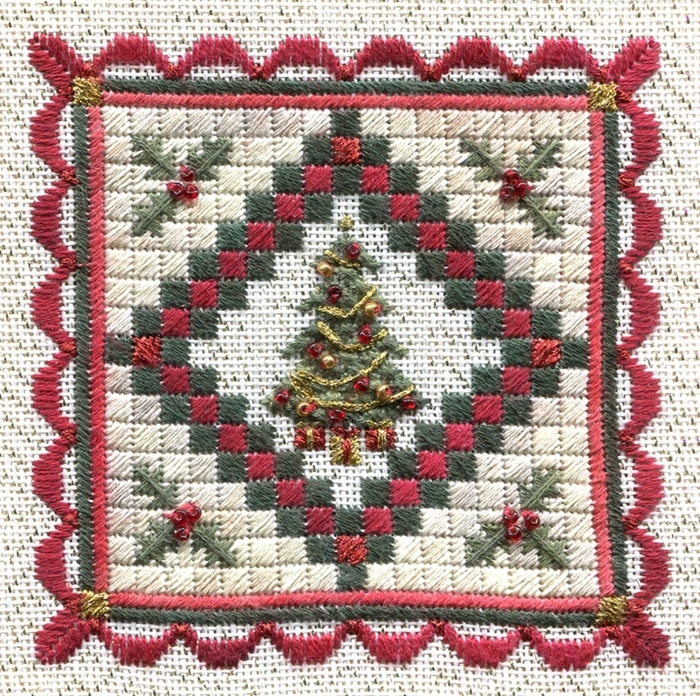 For the smaller quilts, I used Gentle Arts Simply Shaker Sampler Threads, which gives them a slightly vintage look. 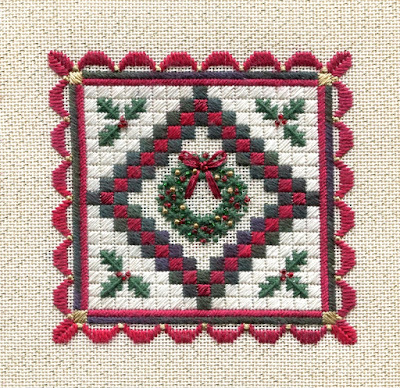 By the way, the pattern includes the complete thread list for either size of the miniature quilts, as well as a bead pack with red, green and gold seed beads. 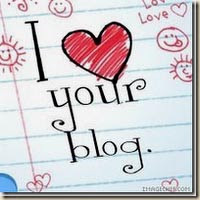 Super cute, super fun, super easy!!! And these quilts would also be great way to highlight a large holiday charm, button or bead in the center -- wouldn't that be eye-catching?? 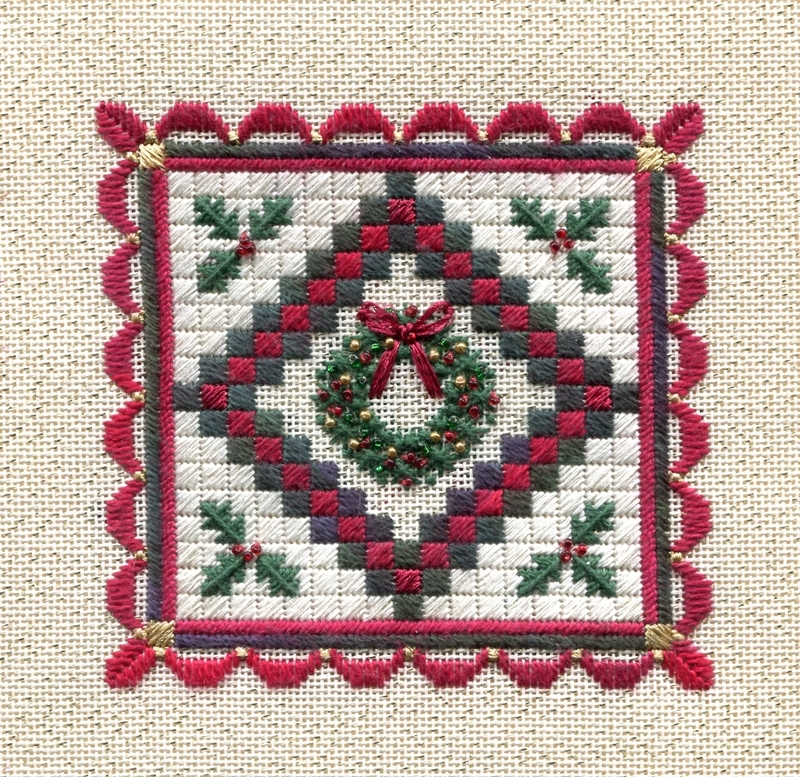 So if you're in the mood for stitching up some quick holiday pieces, you might want to add this new MINIATURE HOLIDAY QUILTS pattern to your stash.... 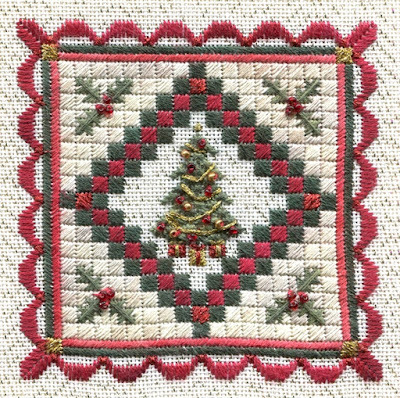 Please visit my website to see the thread list and complete ordering information.